Bridget Rinalli discovered running in her late 30’s. 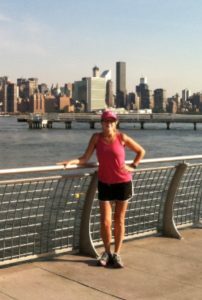 Running gave her a sense of freedom and accomplishment, and she improved her times with each 5K and half marathon she ran. 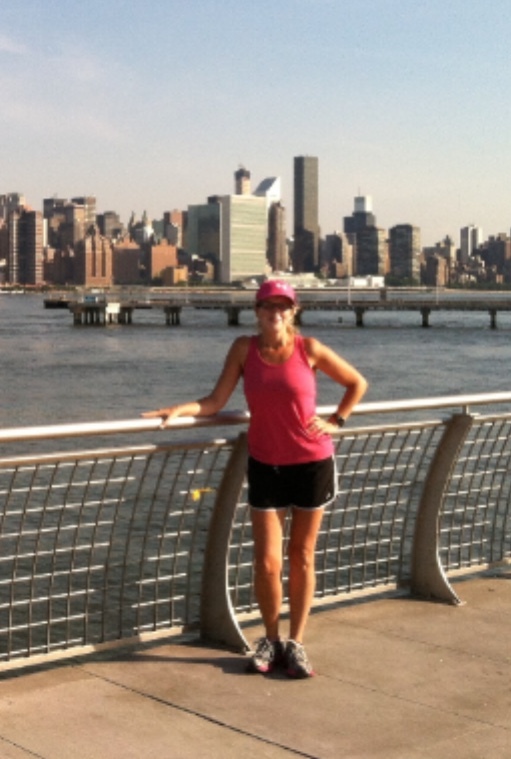 Shortly before her fifth half marathon, she experienced excruciating back pain and was diagnosed with a herniated disk. Her long road to recovery reminds us to give our bodies the gift of time to heal and strengthen. A kindergarden and preschool teacher of 23 years, Bridget returned home to her roots in Canton. She enjoys the outdoors; running, biking, hiking, and going on nature adventures with her niece, nephew, and husband. After her back injury, however, she found herself discouraged, depressed and in constant discomfort. Physical therapy, cortisone shots, and trips to the gym did not provide relief. She was, however, determined to run again. Bridget discovered Sonia while searching on-line for a personal trainer. Sonia noted that Bridget needed to strengthen her core. Sonia emphasized the importance of strength training, stretching, and getting Bridget to use the correct muscles to relieve pressure from her lower back. “My recovery over the last year would not have been possible without Sonia,” Bridget said. She is running again and is thankful for each moment of it. She also discovered a love of lifting and is “thrilled to see my increase in weights and sets”.